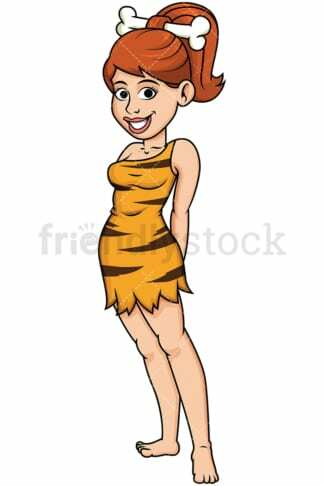 Royalty-free stock illustration of a cavewoman wearing a bone in her hair like a clip, smiling. 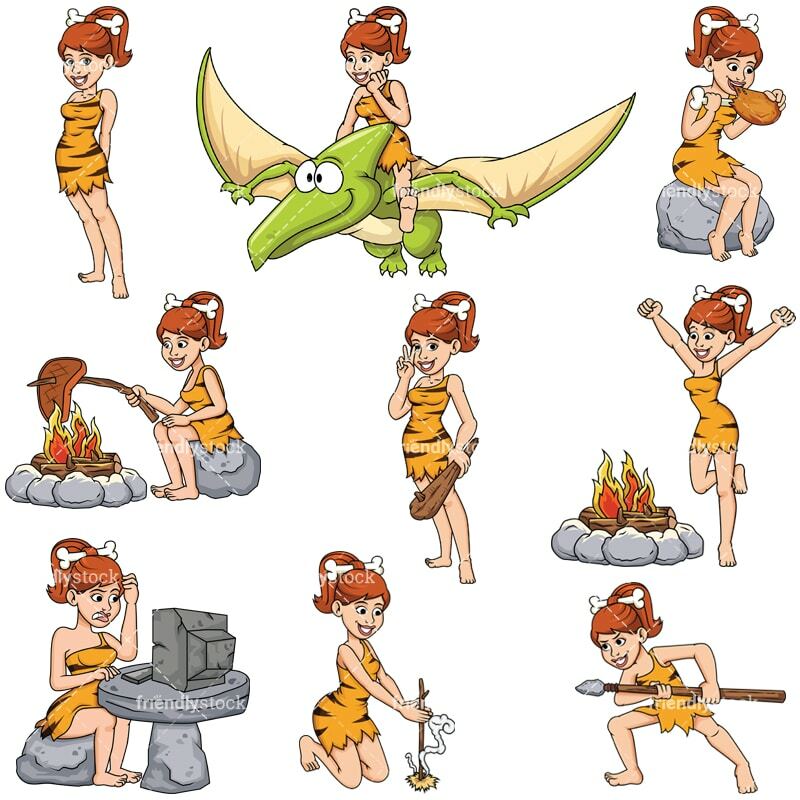 Royalty-free stock illustration of a cavewoman with a bone clip in her hair, sitting on a stone, and cooking a piece of meat on the campfire. Royalty-free stock illustration of a cavewoman with a bone clip in her hair looking confused and annoyed while trying to make sense of a prehistoric desktop computer. 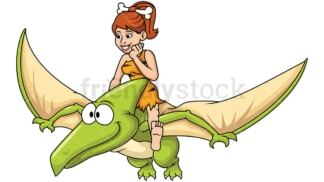 Royalty-free stock illustration of a cavewoman with a bone clip in her hair flying with a tamed pterodactyl, smiling, and having a great time. 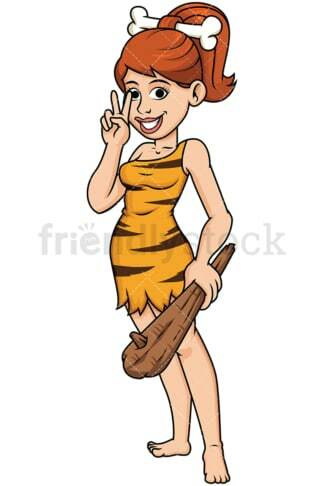 Royalty-free stock illustration of a cavewoman with a bone clip in her hair gesturing with her hand while holding a wooden bat. Royalty-free stock illustration of a cavewoman with a bone clip in her hair standing on guard while holding her spear on attack position. 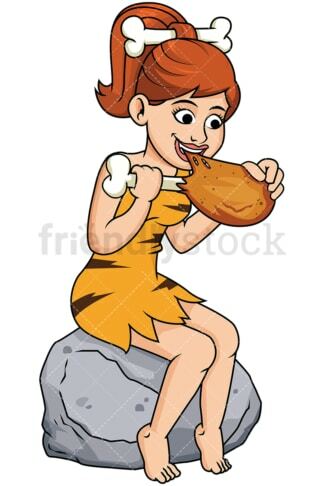 Royalty-free stock illustration of a cavewoman with a bone clip in her hair, sitting on a stone, and grabbing a bite from a piece of meat she roasted. Royalty-free stock illustration of a cavewoman with a bone clip in her hair cheering and dancing by the campfire. Royalty-free stock illustration of a cavewoman with a bone clip in her hair trying to make fire by rubbing a stick together to create heat and sparks.